When these pests find their way inside through open doors or windows, they usually rest in dark, hidden areas within the house, but will come out at night to take a blood meal. Homeowners sometimes find mosquitoes under sinks or in closets and laundry rooms, but they are most common in backyards. Mosquitoes breed in standing water, so properties near ponds, marshes, and depressions that collect rainwater are at risk. Some mosquito species are active at different times of the day, but most emerge just before dusk and are active at night. Mosquitoes can transmit several dangerous illnesses to humans, including Zika virus. This rare disease affects pregnant women and may lead to birth defects. These mosquito-borne diseases may also have serious side effects. 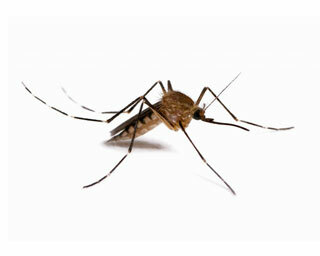 Male adult mosquitoes do not take blood meals, while the females do. However, a few species of female adult mosquitoes do not imbibe blood at all and feed only on plant nectar and other sugars, just like the males.